Arriving in the international terminal at Taoyuan International Airport in Taipei, Taiwan for the first leg of our 41-day adventure through Taiwan, China, Hong Kong and Vietnam. 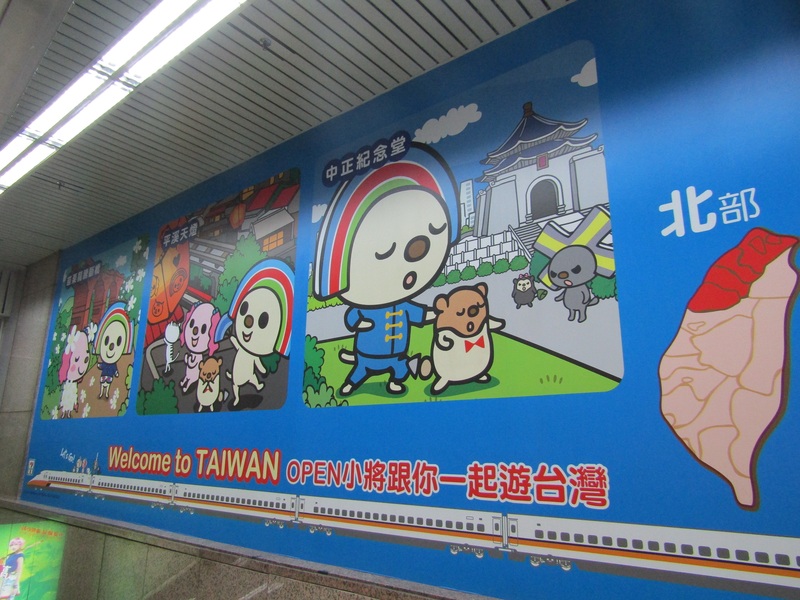 A billboard at Taipei Main Station previews some of the city’s top sights. Taipei’s metro system is very efficient and has great coverage of the city center as well as longer range trains and buses beyond the city.